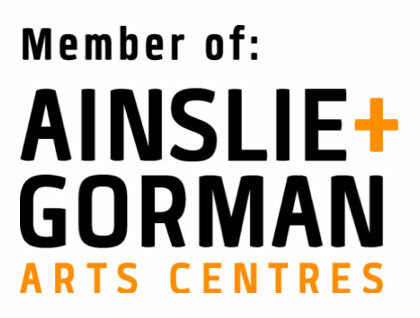 The venue for the Piano Eisteddfod, held over 4 days from Thursday, 30 August to Sunday, 2 September 2018 was the Main Hall, Ainslie Arts Centre. It is a popular venue with our competitors, their families and friends as was the beautiful grand piano on loan from DW Music, Fyshwick (thank you Chris Davis). including Barnett Lilley and Associates, Klavier Music Association, Jennifer Rowland and the ever-reliable members of the committee of the Australian National Eisteddfod Society. I would also like to acknowledge the support of Canberra piano teachers, Australian Keyboard Association and donations from the Harrison family and Alison Cozadinos. The adjudicators for 2018 were Christine Logan of Sydney and Hamish Tait of Wagga Wagga who provided quality feedback on the standard of competition and participants. Although there were less competitors than previous years, there were 280 performances from 98 performers in 56 sections ranging from 7 years to 18 years along with the five open sections. Two new awards were introduced this year – the Ann Thompson Encouragement Awards for 7- 12 year old students and 13 to 16 year old students. The award will be a $200 financial contribution to tuition costs and will be made each year in memory of Ann. Ann was a highly respected piano teacher in Canberra, and influenced the lives of many. Those who knew her, especially her students, were saddened to hear of her passing, and wanted to commemorate Ann and her dedication to piano education via an award at the Australian National Eisteddfod, where many of her students competed over the years. This award was set up to honour Ann and her memory, with nearly 30 of her former students contributing to the award. They would like to share support and encouragement from one generation of Canberra piano students to the next in honour of Ann. Also introduced this year were three restricted sections for Canberra entrants. Audience numbers were comparable to those of previous years and they were rewarded with some wonderful performances. Particularly exciting for the future were the high number of entrants in the 13 to 16 years sections. So much so that the 18 years events were rescheduled for Sunday morning. Four local entrants competed in the open final for $1,000 first prize. Mia Huang was the successful and a worthy winner, and performed Sonata No.21 in C Major, Op.53 ‘Waldstein’ (3rd movement) and Frederic Chopin, Ballade No.4 in F Minor, Op.52. Celine Kang was second and Bernice Chua was third. I would like to acknowledge the assistance of all the volunteers who help with the event – Alison Cozadinos, Janetta McRae, Janette Humphreys, Chris Young, Charlene Brighenti, Anne Maree Hogan, Sylvia Tulloch, the support of teachers, parents and the families of the participants. Many of the volunteers have been assisting with the Eisteddfod over many years and without them the event would not be possible. 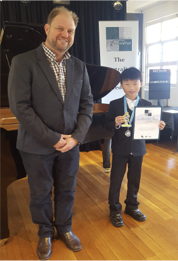 The Piano Eisteddfod in collaboration with ACT Keyboard Association continues to provide a genuine competitive environment for piano students in the ACT.